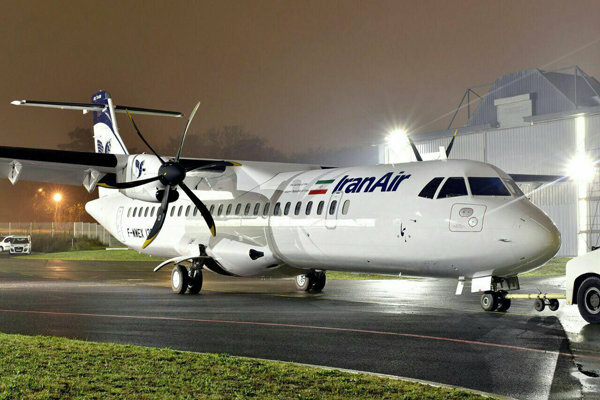 IranAir expects to take its first ATR 72-600 within the next 15 days. ATR on Thursday confirmed an announcement earlier in the week by Iran’s Ministry of Roads and Urban Development that Iran Air has closed on a $536 million contract calling for 20 new ATR 72-600s. While ATR would say only that deliveries will start "within the very next weeks," the Iranian ministry reported that the state owned airline will take the first four airplanes over the next 15 days. Plans call for delivery of nine more by the end of the year and the remaining seven next year, it added. “Similar to contracts with Boeing and Airbus, this contract is financed and besides the aircraft, post-purchase services including engine maintenance are directly provided by ATR based on terms explicitly stated in the contract,” the ministry said in a written statement. News of the €1 billion contract, which includes options on another 20 of the turboprops, comes more than a year after talks in Rome and Paris during the official visit to Europe of Iranian president Hassan Rohani yielded a preliminary deal. At the time, ATR praised the Italian and French states for their role in the deal through the participation of their export credit agencies, respectively, Sace and Coface. The agreements took place as part of the implementation of the JCPOA (Joint Comprehensive Plan Of Action) on January 16, 2016. Under that agreement, Iran has agreed to significantly curb its nuclear ambitions and allow the International Atomic Energy Agency regular access to its facilities for inspection. Separately, Iranian deputy minister of international affairs Fakhrieh-Kashan confirmed with Iran’s official Mehr News Agency that the first Boeing 777-300ER ordered by IranAir will arrive in Tehran next month. A definitive agreement between Boeing and Iran Air announced last December calls for delivery of fifty 737 Max 8s, fifteen 777-300ERs and fifteen 777-9s valued at $16.6 billion at list prices. Still, questions persist over whether the new Treasury Department secretary appointed by the Trump Administration will exercise his right to amend, modify or revoke the license. While Trump remains critical of the 2015 nuclear settlement with Iran that allowed for the export of commercial aircraft to the Islamic Republic, he has also lauded Boeing for its role in creating U.S. jobs through the sale of its aircraft around the globe. For its part, Airbus has already delivered three airplanes to Iran since it inked a firm order in December covering 46 single-aisle A320-family jets, 38 A330s and 16 A350s. Iran Air took the first airplane on order—a CFM56-powered A321—on January 11. Export to Iran of any aircraft carrying 10 percent U.S. technology first requires a license from the U.S. Treasury Department’s Office of Foreign Assets Control (OFAC).